The Board of Directors of d’Amico International Shipping S.A., a leading international marine transportation company operating in the product tankers market, resolved to approve the draft of the 2018 full year statutory and consolidated financial results. “2018 was unfortunately one of the worst years for product tankers in the last decade. However, DIS managed to mitigate the effects of such a negative market, thanks to a prudent commercial strategy coupled with a constant focus on strengthening its financial structure. The market was relatively weak throughout the first nine months of 2018 and hit historically low rates in the third quarter and the first month of the fourth quarter. This led our Company to post a net loss of US$ (55.1) million in the full-year 2018. However, we were very pleased to see our market rebounding to profitable levels towards the end of the year, with clear signs of improvement confirmed also at the start of 2019, relative to the prior year. DIS’ daily spot average was of US$ 10,798 in 2018 vs. US$ 12,026 achieved in the previous year. At the same time, we could count on 34.2% time-charter coverage during the year at an average daily rate of US$ 14,850. 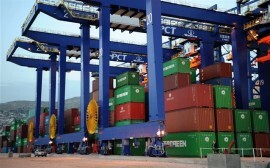 Our total blended daily TCE (spot and time-charter) was of US$ 12,184, which is a rather satisfactory level, given the weak freight markets confronted, proving once again that our prudent strategy of covering part of our fleet through long-term contracts allows us to mitigate considerably the effects of the negative cycles. Most of the industry’s analysts and players have a very positive outlook on the product tanker market and I totally share their view. 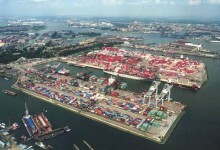 On the demand side, the world product seaborne trade is expected to grow by 3% already in 2019 supported by an expected strong underlying oil consumption growth and by forecasted global refinery capacity additions of 4.9 million barrels a day between 2019 and 2021 (according to Clarksons). In particular, 2019 is expected to be characterized by one of the largest annual increases in refinery capacity in years, with an estimated additional 3.1 million barrels a day (according to Clarksons). At the same time, the net fleet growth of the segments we operate in (MRs and LR1s) is expected to be limited and below 2.0% over the next two years. In addition, the major regulatory change that will come into force in January 2020, limiting the sulphur content in bunker fuels, is widely expected to generate incremental demand for our vessels already from mid-2019. I believe DIS’ recent investments and our prudent commercial strategy, together with a very modern, versatile and high-quality fleet and organization, will allow us to benefit in full from the next expected positive shipping cycle. Our investment plan based on 22 newbuilding vessels we began to order in 2012 is now coming to an end, with the last LR1 ship expected to be delivered in Q3 2019. “During a very challenging year characterized by a very tough market, we maintained a constant focus on strengthening our balance sheet and improving our liquidity position. 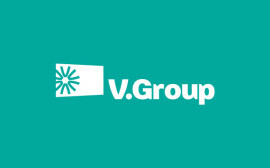 In addition to over US$ 40 million net cash proceeds (after debt repayment) generated in 2017 through outright sales and sale and lease back transactions, we managed to raise an additional US$ 56.5 million in 2018 through similar deals, of which US$ 46.9 million arising from sale-leaseback transactions for four vessels and US$ 9.6 million from the outright sale of two vessels. 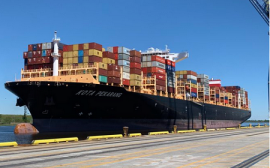 In Q1 2019, we closed sale and sale-leaseback deals, which already generated US$10.2 million in net cash for the Company and that will generate an additional US$6.2 million in net cash upon the delivery of one vessel to their new owners. At the same time, we are now almost at the end of our newbuilding plan, with only one LR1 expected to be delivered in Q3 2019 for a total remaining capital expenditure of US$ 31.6 million (of which approximately US$ 18.8 million should be financed with committed bank debt and the rest with own funds). From 2020, the lower investments and debt repayments, when coupled with the expected increase in freight rates, should contribute to a significant generation of free cash-flow for our shareholders, as well as a rapid deleveraging of our balance sheet. As at December 31, 2018 DIS had ‘cash and cash equivalent’ of US$ 31.7 million and a net financial position of US$ (588.7) million, which represents 72.9% of DIS’ fleet market value. Market conditions across all product tanker sectors were soft in the first nine months of 2018, largely due to existing oversupply of tonnage coupled with weaker demand trends. Rising bunker prices during the first nine months of 2018 have capped earnings during that period, contributing to more limited product arbitrage opportunities, mainly between the Atlantic and Asia, weighing on products trade growth. In Q4 2018, however, the market firmed considerably with Clarksons’ raising its estimate of growth in product tanker dwt demand for the year from 2.1% to 2.3%. Among the factors contributing to weak markets in 2018 is the reduction in products imports into Southeast Asia, which fell by 8% in the full year, partially as a result of reduced arbitrage flows from the West. Declining shipments into Brazil (which fell 18% year- on-year in the January-November 2018 period) and Mexico in the first half of the year also dampened overall volume growth. 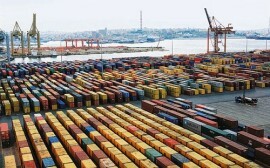 Mexican imports recovered in the second half of the year and Brazilian imports from the US surged in the last quarter, rising by 54% between September and October 2018. The one-year time-charter rate is always the best indicator of spot market expectations. As markets failed to show any signs of improvement in Q3 2018, this rate for conventional (non-eco) MRs was between US$ 12,500 and US$ 12,750 per day. The improved sentiment in Q4 raised the rate at the end of the year to around US$ 13,500 per day for conventional (non-Eco) MRs and to around US$15,000 per day for Eco MRs.
DIS’ Net Result was negative for US$ (55.1) million in full-year 2018 vs. a Net Loss of US$ (38.1) million posted in 2017. This variance is mainly due to the weaker product tanker market experienced in 2018. In fact, DIS’ daily spot rate1 was US$ 10,798 in the full-year 2018 vs. US$ 12,026 in the full-year 2017. In detail, the freight market hit historically low rates in the third quarter of the year but rebounded to profitable levels towards the end of 2018. 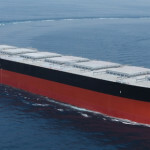 Freight rates at the start of 2019 are showing clear signs of improvement relative to the previous year. contracts at an average daily rate of US$ 14,850 (2017: 33.0% coverage at an average daily rate of US$ 15,433). Such good level of time charter coverage is one of the pillars of DIS’ commercial strategy and allows it to mitigate the effects of the spot market volatility, securing a certain level of earnings and cash generation even throughout the negative cycles. DIS’ total daily average rate (which includes both spot and time-charter contracts) was US$ 12,184 in the full-year 2018 compared with US$ 13,150 achieved in the previous year. In 2018, DIS ‘gross capital expenditures’ amounted to US$ 101.5 million (US$ 1.3 million in Q4 2018), mainly in relation to DIS’ newbuilding plan. Since 2012, DIS has ordered a total of 22 ‘Eco-design’ product tankers2 (10 MR, 6 Handy-size and 6 LR1 vessels), of which 20 vessels have been already delivered as at the end of 2018. This corresponds to an overall investment plan of approximately US$ 755.0 million and is in line with the Group’s strategy to modernize its fleet through new-buildings with an eco-design. 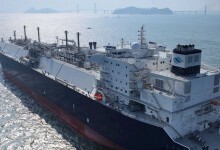 In addition, DIS has fixed the majority of its new-building vessels on long-term time-charter contracts with three oil-majors and a leading trading house, securing a good level of earnings and cash generation. Time charter equivalent earnings were US$ 244.9 million in 2018 vs. US$ 257.4 million in 2017. The total amount for 2018 includes US$ 5.4 million ‘time charter equivalent earnings’ generated by the vessels under commercial management, which is offset by an equal amount reported under ‘Time charter hire costs’. 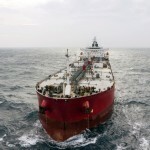 The variance compared with last year is due to the much weaker product tanker market experienced in 2018. In fact, DIS realized a Daily Average Spot Rate of US$ 10,798 in 20183 compared with US$ 12,026 achieved in the previous year. After a very weak product tanker market in October 2018, freight rates rallied in the last part of Q4 2018, allowing DIS to achieve a Daily Average Spot Rate of US$ 11,617, slightly better than the US$ 11,299 realized in the same quarter of the prior year. Following its strategy, in 2018 DIS maintained a good level of ‘coverage’ (fixed contracts), securing an average of 34.2% (2017: 33.0%) of its available vessel days at a Daily Average Fixed Rate of US$ 14,850 (2017: US$ 15,433). In addition to securing revenue and supporting the operating cash flow generation, these contracts enabled DIS to strengthen its historical relationships with the main oil majors, which is one the pillars of its commercial strategy. EBITDA was US$ 17.5 million in 2018 compared with US$ 36.8 million achieved in 2017. The reduction relative to last year is mainly due to lower ‘TCE Earnings’ achieved in 2018. DIS’ EBITDA Margin was 7.2% in 2018 compared with 14.3% in 2017. Depreciation, impairment and impairment reversal amounted to US$ (34.8) million in 2018 vs. US$ (48.3) million in 2017. The total amount for 2017 included an impairment of US$ (10.9) million booked on three vessels, which were under sale negotiations at the time. In fact, based on IFRS 5 these three ships were classified as ‘assets held for sale’ and the difference between their appraised market value and their book value was charged to the 2017 profit and loss. However, the sale transaction on two of these vessels has not materialized as at the end of 2018. 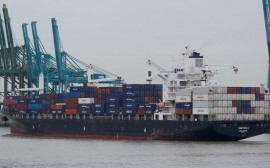 Therefore, DIS booked an impairment reversal of US$ 4.9 million on the two ships and their book value was reclassified from ‘assets held for sale’ to ‘fixed assets’. EBIT was negative for US$ (17.3) million in 2018 compared to a negative result of US$ (11.4) million in 2017. Net financial income was US$ 5.0 million in 2018 vs. US$ 2.4 million in 2017. The 2018 amount comprises amounts from derivative instruments totalling US$ 2.2 million due to the equity release on the IRS on the M/T High Freedom, M/T High Trust, M/T High Loyalty and M/T High Trader (following the sale and leaseback of the vessels in the period) and US$ 0.5 million representing realized profit on foreign exchange hedges. 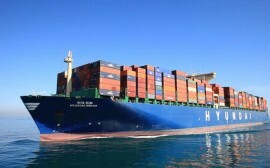 Realized amounts include also US$ 0.34 million foreign exchange gain on commercial transactions, bank interest income (funds held with financial institutions on deposit and current accounts) and interest on the financing provided to the DM Shipping joint venture. Unrealized gains of US$ 1.9 million relate to the ineffective portion (fair value) of the interest rate swaps cash-flow hedges. Net financial charges were US$ (34.3) million in 2018 vs. US$ (28.4) million in 2017. The amount comprises the interest expenses due on DIS’ bank loan facilities and financial leases, actual expenses on interest rate swaps and amortization of financial fees. Income taxes were US$ (1.0) million in 2018 vs. US$ (0.8) million in the previous year. 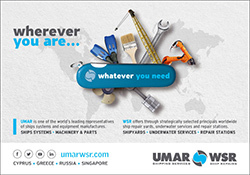 The Net Result for 2018 was US$ (55.1) million compared with a Net loss of US$ (38.1) million in 2017. The variance compared to the previous year is mainly due to the much weaker spot market experienced in 2018. DIS’ Net Cash Flow for 2018 was positive, amounting to US$ 2.8 million vs. US$ (2.5) million in 2017. During the year, gross capital expenditures of US$ 101.5 million, were partially offset by US$ 21.9 million in proceeds from disposal of vessels and US$ 74.6 million positive financing cash flow. Cash flow from operating activities was positive, amounting to US$ 7.6 million in 2018 vs. US$ (11.3) million in 2017. The better result achieved in the first nine months of 2018 was mainly due to a reduction in working capital. DIS’ Net debt as at December 31, 2018 amounted to US$ 588.7 million compared to US$ 510.3 million at the end of 2017. The net debt/fleet market value ratio was of 72.9% as at December 31, 2018 vs. 66.6% as at December 31, 2017. • ‘Time Charter-In’ and ‘Commercial management’ Fleet: In January 2018, the contract on M/T Carina, an MR vessel built in 2010 and time-chartered-in by d’Amico Tankers d.a.c. since 2013, was extended for a further 2 year period starting from May 2018, at a reduced rate. 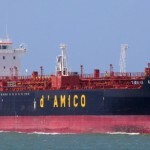 d’Amico Tankers ended and the vessel was redelivered to her Owners. In February 2018, the contract on M/T SW Cap Ferrat I, an MR vessel built in 2002 and time- chartered-in by d’Amico Tankers d.a.c. since 2015 and due to expire in December 2018, was extended for a further year, at a reduced rate. 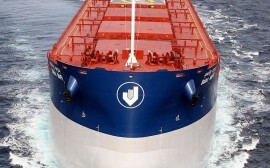 with d’Amico Tankers ended and the vessel was redelivered to her Owners. In May 2018, the contract on M/T High Power, an MR vessel built in 2004 and time-chartered-in by d’Amico Tankers d.a.c. since 2015 and due to expire in May 2018, was extended for a 12 month period, at a reduced rate. In May 2018, d’Amico Tankers d.a.c. time-chartered-in M/T High Navigator, a newbuilding MR vessel built in Japan Marine United Co. (Japan) for a 8 year period and M/T High Explorer, a newbuilding MR vessel built in Onomichi Dockyard (Japan) for an 8 year period with options to extend the contract. In June 2018, d’Amico Tankers d.a.c. 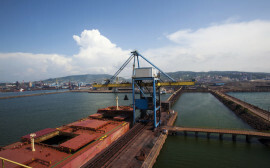 time-chartered-in M/T High Leader, a newbuilding MR vessel built in Japan Marine United Co. (Japan), for a 8 year period. In July 2018, the contract on M/T Freja Baltic, an MR vessel built in 2008 and time-chartered-in by d’Amico Tankers d.a.c. since 2014 and due to expire in August 2018, was extended for a further 2 year period, at a reduced rate. In August 2018, the time-charter-in contracts on M/T High Beam, M/T High Current, M/T High Glow, M/T High Enterprise, M/T High Force, all expiring between August 2018 and October 2018, were extended for 1 to 3 more spot voyages. The original fixed hire rate was changed into a ‘floating hire rate’ based on the spot market earnings of each of the vessels. Therefore, DIS is effectively acting as commercial manager of these vessels, earning a 2% commission on all their gross revenues. As at year-end 2018 five vessels were participating in this new commercial scheme. In October 2018, the time-charter-in contract on M/T Citrus Express, an MR vessel built in 2006, with d’Amico Tankers ended and the vessel was redelivered to her owners. In the same month, the time-charter-in contract on M/T High Sun, an MR vessel built in 2014, with d’Amico Tankers ended and the vessel was redelivered to her owners (Eco Tankers Limited, in which DIS has a 33% shareholding). In November 2018, the management contract on M/T High Enterprise ended and the Vessel was redelivered to her owners. Tankers d.a.c. 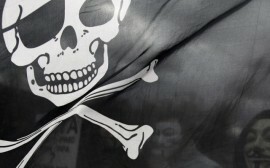 and an oil-major expired and the vessel is now employed on the spot market. 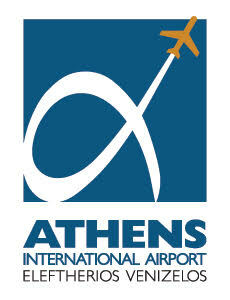 1 year time charter at a profitable rate. In March 2018, d’Amico Tankers d.a.c. extended a 6 month time charter contract with a leading trading house on one of its LR1 vessels for a 9 month period with a charterer’s option for an additional 6 months, at a higher rate. In March 2018, d’Amico Tankers d.a.c. extended its time charter contracts with an oil major on three MR vessels. 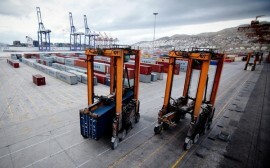 The first of these contracts was extended for 28 months at a profitable rate, with an option for a further 8 months; the second contract was extended for 12 months at a profitable rate, with an option for further 12 months; the third contract was extended for 32 months at a profitable rate, with an option for further 6 months. In May 2018, d’Amico Tankers d.a.c. fixed one of its newbuilding ‘eco’ LR1 vessels delivered in Q3 2018, with a leading trading house, for a 9 months charter contract with a charterer’s option for an additional 6 months. In August 2018, d’Amico Tankers d.a.c. extended its time charter contract with an oil major on one of its MR vessels for 12 months starting from September 2018. At the same time, d’Amico Tankers d.a.c. fixed two of its MR vessels on a time charter contract with the same oil major for 12 months, with an option for a further 12 months. In October 2018, d’Amico Tankers d.a.c. extended its time charter contract with a leading trading house on one of its LR1 vessels for 9 months starting from October 2018, with an option for further 9 months. In November 2018, d’Amico Tankers d.a.c. fixed one of its new LR1 vessels delivered in January 2019 with an oil major for a 2-year time-charter contract at a profitable rate, with a charterer’s option for one additional year. In the same month, d’Amico Tankers d.a.c. extended its time charter contract with a leading trading house on another of its LR1 vessels for 6 months starting from February 2019, at a profitable rate. In December 2018, d’Amico Tankers d.a.c. 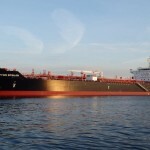 : i) extended its times charter contract with an oil- major on one of its MR vessels for 12 months starting from January 2019; ii) fixed two of its eco MR time-chartered-in vessels with a leading trading house for a 2-year time charter contract at a profitable rate with a charterer’s option for one additional year; iii) fixed one of its eco MR owned vessels with an oil-major for a 4 year time charter contract at profitable rates. • Newbuilding vessels: In January 2018, M/T Cielo di Rotterdam, an ‘Eco’ new-building LR1 product tanker built by Hyundai Mipo Dockyard Co. Ltd. (South Korea) at their Hyundai Vinashin Shipyard Co. Ltd. in Vietnam, was delivered to the Group. 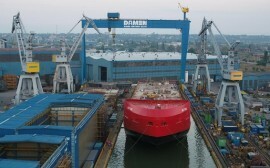 In January 2018, d’Amico Tankers agreed with Hyundai Mipo Dockyard Co. Ltd. (South Korea) to take delivery of the remaining LR1s under construction, as per the following approximate schedule: 1 vessel in January 2018, 2 vessels in July 2018 and the last 2 vessels in January 2019. In July 2018, M/T Cielo di Cagliari, an ‘Eco’ new-building LR1 product tanker built by Hyundai Mipo Dockyard Co. Ltd. (South Korea) at their Hyundai Vinashin Shipyard Co. Ltd. in Vietnam, was delivered to the Group. In August 2018, M/T Cielo Rosso, an ‘Eco’ new-building LR1 product tanker built by Hyundai Mipo Dockyard Co. Ltd. (South Korea) at their Hyundai Vinashin Shipyard Co. Ltd. in Vietnam, was delivered to the Group. In December 2018, d’Amico Tankers d.a.c. 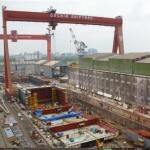 agreed with Hyundai Mipo Dockyard Co. Ltd. – South Korea – to postpone delivery of the last LR1 under construction from January 2019 to September 2019. • Vessel Sales: In November 2017, d’Amico Tankers d.a.c. signed a memorandum of agreement for the sale of MT High Presence, a 48,700 dwt medium-range product tanker vessel, built in 2005 by Imabari Shipbuilding Co. Ltd. (Japan), for a consideration of US$ 14.14 million. This transaction generated at delivery of the Vessel in Q1 2018, a positive net cash effect of around US$ 7.2 million for d’Amico Tankers, net of commissions and reimbursement of the vessel’s existing loan, contributing to the liquidity required to complete DIS’ fleet renewal program. At the same time, d’Amico Tankers will maintain the commercial employment of the vessels having also concluded with the buyer a 6 years’ time-charter agreement at a competitive rate. In December 2017, d’Amico Tankers d.a.c. signed a memorandum of agreement and bareboat charter contract for the sale and leaseback of the MT High Freedom, a 49,990 dwt medium- range product tanker vessel, built in 2014 by Hyundai Mipo (South Korea), for a consideration of US$ 28.0 million. This transaction allowed d’Amico Tankers to generate around US$ 13.4 million in cash in Q1 2018, net of commissions and reimbursement of the vessel’s existing loan, contributing to the liquidity required to complete DIS’ fleet renewal program. In addition, through this transaction d’Amico Tankers will maintain full control of the Vessel, since a 10-year bareboat charter agreement was also concluded with the buyer, with a purchase obligation at the end of the charter period. Furthermore, d’Amico Tankers has the option to repurchase the Vessel, starting from the second anniversary of her sale at a competitive cost of funds. In July 2018, DIS announced that its subsidiary d’Amico Tankers d.a.c. signed a memorandum of agreement for the sale of the M/T Cielo di Milano, a 40,081 dwt handy product tanker vessel, built in 2003 by Shina Shipbuilding, South Korea for a consideration of US$ 8.025 million. This transaction allows d’Amico Tankers to generate around US$ 2.4 million in cash, net of commissions and the reimbursement of the vessel’s existing loan. of the vessel’s existing loan. In addition, through this transaction d’Amico Tankers will maintain full control of the vessel, since a 10-year bareboat charter agreement was also concluded with the buyer, with a purchase obligation at the end of the 10th year of the charter period. Furthermore, d’Amico Tankers has the option to repurchase the vessel, starting from the second anniversary of her sale at a competitive cost of funds. In August 2018, DIS announced that its subsidiary d’Amico Tankers d.a.c. signed a memorandum of agreement and bareboat charter contract for the sale and leaseback of the M/T High Loyalty, a 49,990 dwt medium-range product tanker vessel, built in 2015 by Hyundai-Mipo, South Korea for a consideration of US$ 28.5 million. 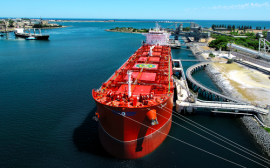 This transaction allows d’Amico Tankers to generate at the vessel’s delivery around US$ 13.3 million in cash, net of commissions and the reimbursement of the vessel’s existing loan. In addition, through this transaction d’Amico Tankers will maintain full control of the vessel, since a 10-year bareboat charter agreement was also concluded with the buyer, with a purchase obligation at the end of the 10th year of the charter period. Furthermore, d’Amico Tankers has the option to repurchase the vessel, starting from the second anniversary of her sale at a competitive cost of funds. In November 2018, DIS announced that its subsidiary d’Amico Tankers d.a.c. signed a memorandum of agreement and bareboat charter contract for the sale and leaseback of the M/T High Trader, a 49,990 dwt medium-range product tanker vessel, built in 2015 by Hyundai-Mipo, South Korea for a consideration of US$ 27.0 million. This transaction allows d’Amico Tankers to generate at the vessel’s delivery around US$ 8.6 million in cash, net of commissions and the reimbursement of the vessel’s existing loan. In addition, through this transaction d’Amico Tankers will maintain full control of the vessel, since a 10-year bareboat charter agreement was also concluded with the buyer, with a purchase obligation at the end of the 10th year of the charter period. Furthermore, d’Amico Tankers has the option to repurchase the vessel, at any time starting from the second anniversary of her sale with three months’ notice at a competitive cost of funds.